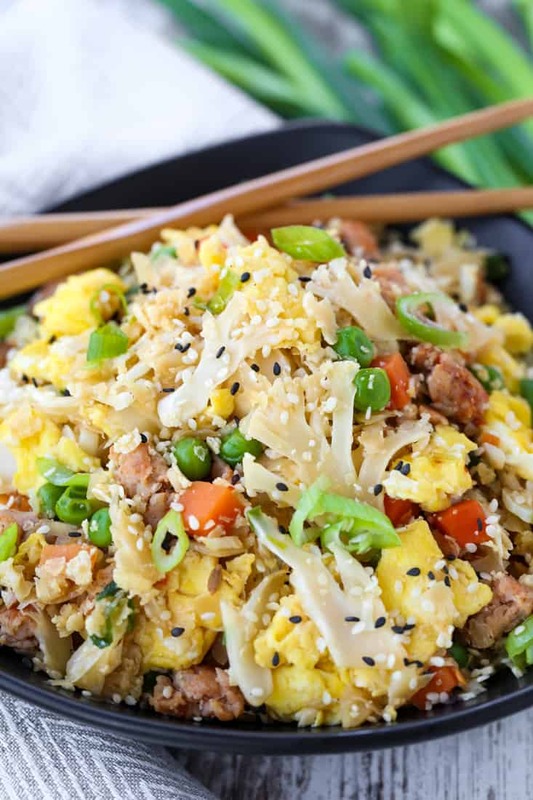 We love this Cauliflower Fried Rice recipe for a healthier version of fried rice! This cauliflower chicken fried rice is so good, our kids eat it too! 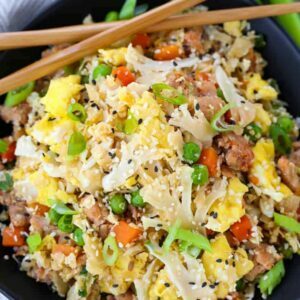 We love making all kinds of fried rice recipes like this Italian Fried Rice for a fun twist, or a classic Hibachi Fried Rice recipe with a sweet hint of pineapple. You can even swap out cauliflower rice in basic rice dishes like our Spicy Mushroom Rice! Because good for you food should still taste – well, good. Right? And I can promise you, this Cauliflower Fried Rice is so tasty, you’ll never know the rice is missing. Hopefully you’re kids won’t either because ours definitely loved this fried rice! 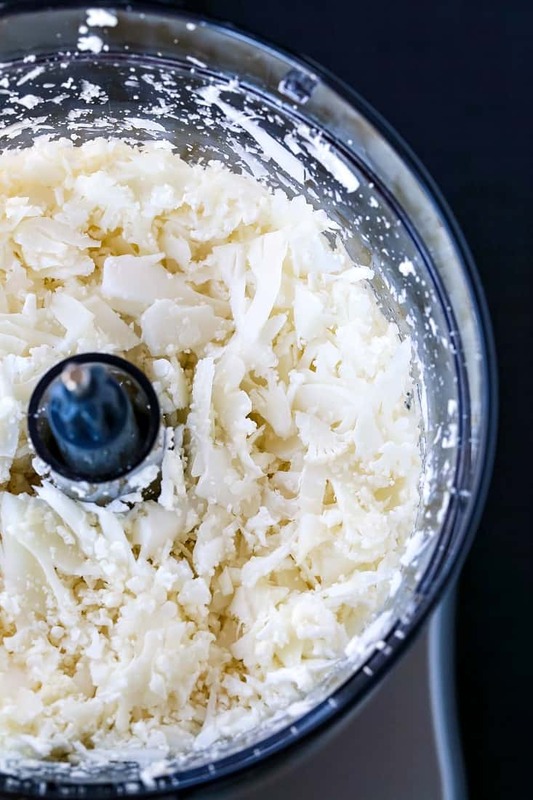 All you need to do is head over to our post on How To Make Better Cauliflower Rice! 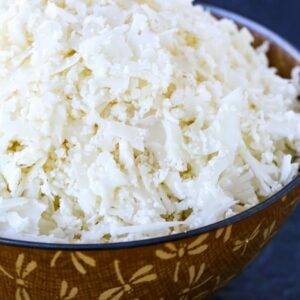 It will explain everything you need to know, plus our method for making cauliflower rice just a little bit better. We like a larger texture to our cauliflower rice so that it doesn’t get mushy in your recipes. But if you like a finer texture you can do that easily too! 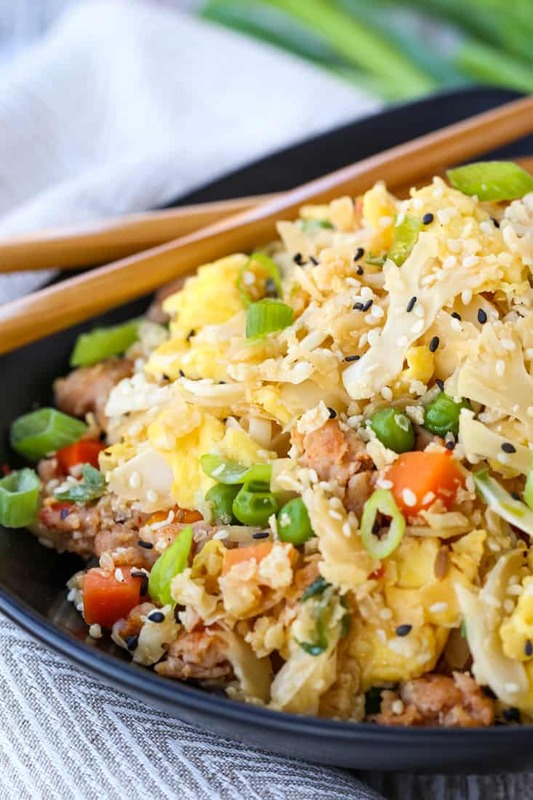 What Can You Substitute In This Cauliflower Fried Rice Recipe? Pretty much anything you want! 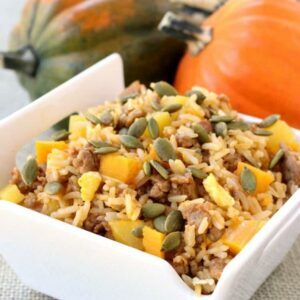 We used a mild chicken sausage in this recipe but you can add ground beef, ground pork, chicken or turkey. Even leftover turkey or leftover chicken would work. Ham? Yep. 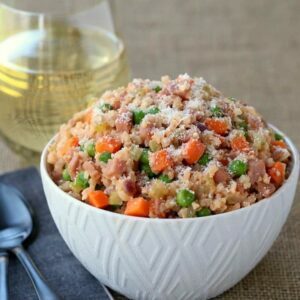 This fried rice recipe is pretty versatile! Use up what you have in your fridge for this fried rice. Also the vegetables, we stuck with basic peas and carrots but anything would work! Broccoli, asparagus, cabbage, bok choy, fresh spinach or kale…again, use what you like and clean out the fridge! 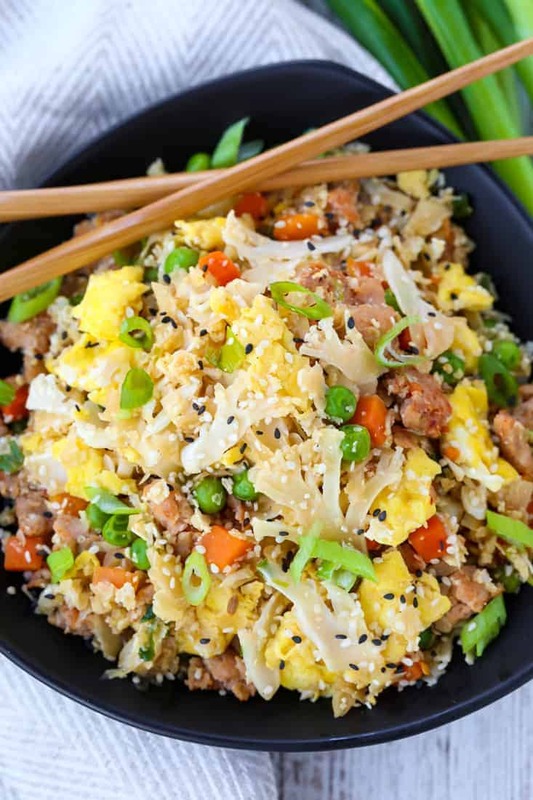 We’ve even gone so far as to chop up leftover hard boiled eggs and throw them in this cauliflower fried rice instead of scrambling new eggs. Looking For More Low Carb Dinners? Add the oil to a wok or a large skillet over medium-high heat. Pour in the beaten eggs and scramble, then remove from the pan. Add more oil if needed, then add the ground chicken to brown. Break up the chicken into smaller pieces as it browns, draining any grease from the pan if needed. Add the cauliflower rice, scallions and the peas and carrots to the skillet and stir. Cover with a lid for 3-4 minutes to let the vegetables steam. Remove the lid and stir. Add the scrambled eggs, soy sauce, sesame oil, ginger, garlic and salt and black pepper to taste. Serve with sesame seeds and more chopped scallions for garnish.